Serbian Leader Seeks Putin's Advice on Tensions with Kosovo - Integration Through Media ....! 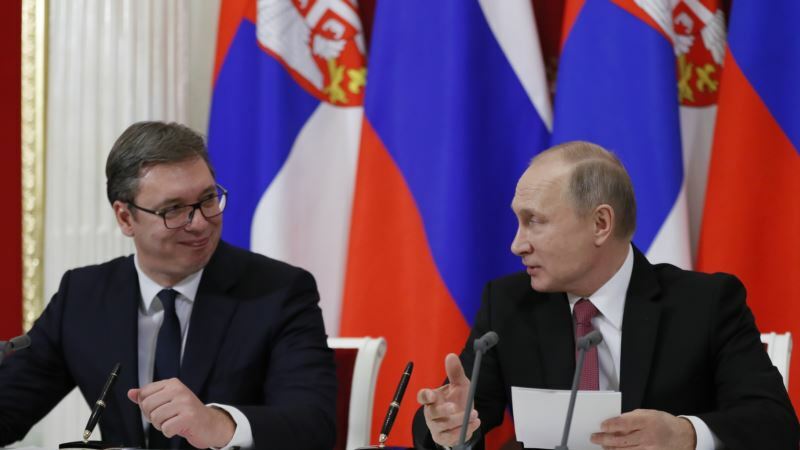 (VOA): Serbia's president sought advice from Russian President Vladimir Putin on how to respond to a spike in tension with Kosovo. Aleksandar Vucic’s office said in a statement that he informed Putin about the “brutal attack” by Kosovo police on Monday against a senior Serb official who was arrested and expelled after entering the country without an official permit. The call underscored the approach Vucic has taken as he tries to push Serbia toward European Union entry next decade. While he has engaged with the bloc, he's also kept strong ties with Russia and has refused to acknowledge Kosovo’s declaration of independence in 2008, which came almost a decade after NATO warplanes forced Serb troops out of Kosovo. NATO troops have been stationed in Kosovo since 1999 when the alliance intervened to stop a Serb crackdown against Kosovar Albanian separatists. Serb military involvement in Kosovo would create a major crisis with the West, especially if there is indirect support from Russia. Involving Russia in the Serbia-Kosovo conflict could complicate efforts by the EU to find a peaceful solution. Both Serbia and Kosovo want to join the EU, but in order to join the economic bloc, they must normalize ties. Kosovo’s Serb minority on Wednesday demanded that the country’s interior minister and police chief resign over the arrest and expulsion of Marko Djuric, head of the Serbian government office for Kosovo. Washington has condemned the incident “which unnecessarily heightens tensions and threatens regional stability.” The U.S. State Department statement Tuesday also urged all parties to avoid further escalation and resolve disputes peacefully.